The Paleo Diet is based on whole foods presumably consumed by hunter-gatherers during the Paleolithic era, specifically animal protein and plants. It consists mainly of fish, grass-fed pasture raised meats, eggs, vegetables, fruit, fungi, roots, and nuts, and excludes grains, legumes, dairy products, potatoes, refined salt, refined sugar, and processed oils. Many tout this diet to be advantageous for weight loss and related health benefits, while others, like US News and World Report, are more skeptical. Today is part one of a two part series in which I interview individuals who have had positive experiences with this diet, or as some prefer to say, this lifestyle. Without further ado, meet Gretchen Baker. Gretchen is 47 and employed full-time with Hewlett-Packard. She is a wife, mother, grandmother, friend, runner and cross-fitter who is always seeking ways to be healthier to stay active as long as possible and keep up with her children and grandchildren. Why did you decide to try the Paleo diet? A running friend posted a 30-day Paleo Challenge link in Facebook last August. I didn’t think I could change my eating habits so drastically, especially giving up grains and dairy and adding vegetables. Before the challenge, I would freak at the sight of a green vegetable! I was surprised how easy it was. I changed when I ate and how much I ate, actually eating more food than I did before. There were substitutions for most everything I used to eat. How did the change in diet make you feel? I saw dramatic changes in my energy levels and demeanor, even though I was following Paleo only 80% of the time. I still indulged in the occasional treat – ice cream, popcorn, and chocolate. I drank alcohol, including a glass of red wine in the evening and hard alcohol on the weekends. In January of this year, the same friend posted a local CrossFit Group 30-day Paleo Challenge. I did not think I could give up sugar and alcohol, so I signed up to see if I could. I didn’t cheat even once. No Dairy, No Grains, No Sugar, No Alcohol. I was enjoying all the new foods I was trying, lost weight, gained physical and mental strength and learned so much about whole foods and why this is the way to eat! My life will never be the same. 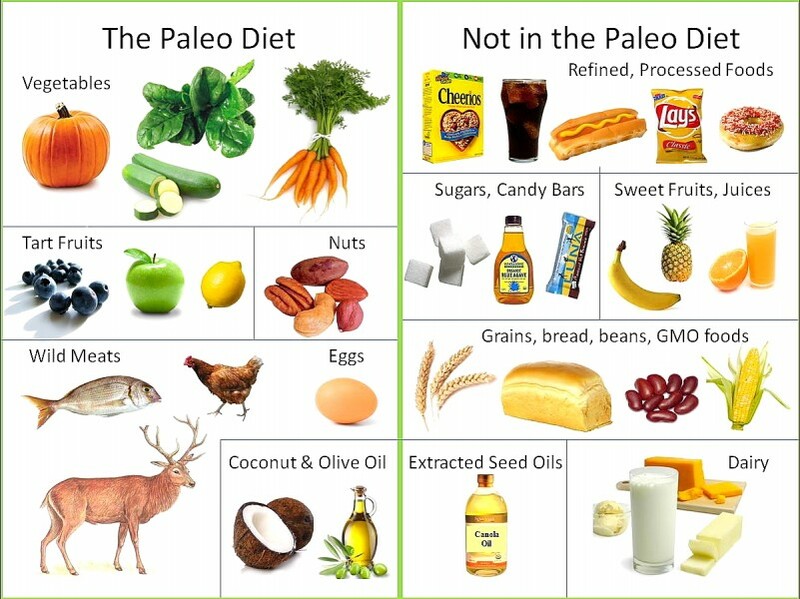 Paleo really isn’t a diet…it’s a lifestyle. My experience was life-changing! Tell us about the other challenges you embraced along with the diet? The challenge leader, who owns the CrossFit Station in Eagle, ID, gave us a series of physical and mental challenges. One week, we had to complete 600 push-ups in six days. The next week was 900 air squats in six days. Then she gave us food challenges like eating foods in their purest form. For example, we couldn’t drink blended shakes or protein bars; rather, we ate the protein drink — fruits, nuts, and other ingredients — in their whole form. Each of these changed my physical appearance and boosted my confidence in my physical and mental abilities. It changed the way I eat, prepare my foods and plan for grocery shopping. How do you feel now? Will you continue to stay on the same regime? I have never felt better in my entire life. Even when I followed the 80% Paleo, I noticed how level-tempered, energetic and fit I felt. When I followed it 100%, the affect was more pronounced. No spikes, no crashes, no cravings. I continue to track my daily foods, exercise and weight in a web-based diary, MyNetDiary and I share with others what I’ve learned on a daily basis. We now have a private Facebook Paleo support group for all those interested and we share our meal tracking, offer tips, suggestions and ask questions. How has your attitude toward alcohol changed? Giving up sugar and alcohol has had long-lasting impacts for me. After completing the challenge, the very next day I had a glass of fabulous wine, and I didn’t enjoy it a bit. I didn’t like the taste nor did I want more than one glass. I thought maybe it was a fluke, so two weeks later, I tried again and had the same experience. I still have not had any hard alcohol since before the January challenge and have no desire to drink any. How has it benefitted your family? The effect has been profound! Just prior to the challenge, I cleaned out the pantry, fridge and freezer of most everything not Paleo. I say most because I knew this would be a slower adaption process for our two children aged five and eight. I kept many of the snacks they enjoyed, but got rid of the really bad, processed foods. The transition has been easy for my husband. He enjoys seeing me snack on eggs, jerky, and even an egg scramble with fresh veggies and bacon in the middle of the day rather than pretzels, cereals and other snacks I used to eat. What does the family diet look like? Rather than donuts on weekends, we now have bacon, eggs, paleo pancakes, and paleo blueberry muffins for breakfasts. During the week, they have low sugar cereals, and other options they choose for themselves. Last week, my son wanted fresh raspberries and two hard-boiled eggs for breakfast! Every night at dinner, we have fresh veggies, fruits and meats. I try to create meals that resemble ones we had in the past, and for the most part, the family will try everything. I also invested in multiple cookbooks with recipes geared toward children and have them help in the preparation. Since my daughter associated the word Paleo with healthy food that didn’t taste good, we stopped using the word, especially at dinner. How challenging is it to shop for and prepare Paleo foods? Since I no longer visit the processed food aisles, I save a good hour of shopping! I do, however, shop more places around town to save money. I choose my organics carefully and we invested in a grass-fed organic cow and have that in the freezer. Costco is great for many of the staples. I spend a bit more time cooking now, but I enjoy planning and being prepared for the week rather than scouring the pantry for some processed dinner I can throw together in ten minutes.